The Devine Write: Who Needs Church? I can't speak for you; but if I ventured a guess, I would say you do too. "Church" means many things to many people. For some, it conjures up memories of boring ritualism that stunk of hypocrisy and deceit. For others, it reminds them of fun childhood activities when their parents brought them to church for reasons noble or selfish. And then there may be some reading that have no memories of church, and all you know is what you've heard second hand or seen in the media. Trust me, I know there are bad churches. Actually, all churches are bad--that is imperfect. The problem with churches has always been people; but that's also the reason for churches--people. 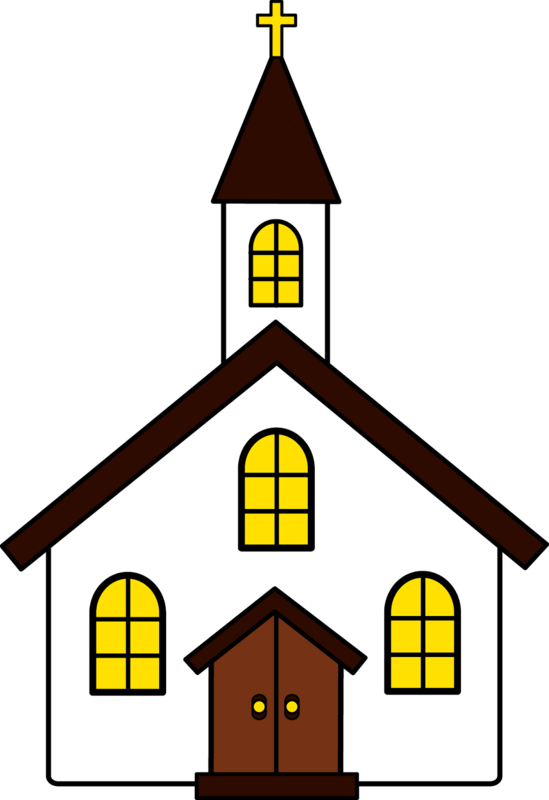 Churches, although established by a perfect God, are operated, and in some cases, perverted by people who want what they want rather than what is best for other people. And therein lies the problem. One person's experience with a church can fashion their entire perspective of "all churches", when the reality is that every church you walk into is a different culture and a different experience. It's not like the post office, which is consistently bad everywhere no matter what (sorry USPS employees). Who needs church? And perhaps more importantly, why would someone need church? These questions seem simple, but nothing is simple when people are involved. In my opinion, every person needs church, but for different reasons. Then again, I believe every person needs God, and many people are militantly convinced I'm wrong. So be it. "I don't believe in God, so why should I go to church?" If you don't believe in God, I can say for sure that you either have been to church, or you haven't. Ha! Can't argue with that. Don't stop reading. I promise it gets better. Many people are exposed to some type of church when they are young, and that exposure combined with other events in their lives leads them to not believe in the existence of God. I am not writing to belittle your opinion or argue with your conclusions. However, many atheists and agnostics I have encountered pride themselves in at least one thing--open-mindedness. They claim to be open to many possibilities and ideas, so I would encourage you to give fair time to the possibility of God's existence. Perhaps the idea makes you angry, but anger is a bad way to make life-changing decisions. Perhaps the idea of God offends you, but maybe you haven't heard the whole story told properly. Maybe you hate church because you think Christians are jerks. I agree with you. Christians are jerks; or more accurately, they can be jerks. So now you're going to let other people determine your decisions in life? That doesn't sound very liberated. That sounds like you're mapping your life based on the misbehavior of others. (1) You might learn something you don't know--that's always good. (2) You can meet people in your community. (3) You might make a friend, even if they have different perspectives and ideas. (4) They usually have coffee and food there. "I believe in God, but church is just so inconvenient (aka I'm too busy)." If you're like me, doing almost anything out of routine is inconvenient. The biggest factor is whether you want to do it or not. I'm not picking on you. I feel the same way. Doing new things or different things is hard because you don't know how it will turn out. You have no positive references to refer back to that will motivate you to go. So you don't go. But what might you be missing? Be curious and explore. I know, Sunday is a day for Americans to sit around the house, grill and watch sports. At least that is what Sunday has become. I like sports and grilled meat, but it doesn't get in the way of me going to work, or shopping, or fixing my car, or going to the park. Sunday is a good day to do what is important to you. It's usually a day off work, so use it wisely. And with the advent of DVR, almost nobody in church misses a sports game anymore (unless you're too cheap to have cable, like me). (1) You claim to believe in God, but how much do you know about Him? Learn more. (2) You might believe in God, but the Bible says that's not enough to go to Heaven. There's more to the story. (3) God wants to be more important than your hobbies and relaxation. (4) God says you should go to church if you are a Christian. "I believe in God, but churches are full of idiots." So is your job site, and Wal-Mart, and everywhere. Get over it. The problem with this group's perspective of church is they want to walk in and find perfect pretty princesses in the kid's ministries and refined, educated men emanating the aroma of distinction and piety. Get real. Church is for everyone. It's for people that are struggling with everything. It's for people who are in every stage of life--young, old, sick, healthy, poor, rich, middle class, honest, deceptive, smelly, pretty, ugly, handsome, weak, strong, friendly, socially awkward, annoying, cool, trendy, and old-fashioned. If you find a church where everyone looks and acts the same, leave immediately--it's a cult. (1) All the idiots at church need your help. (3) Don't let other people spoil your responsibility to worship and serve God. (4) Go to church to figure out you're an idiot too, just like them. Romans 3:10-11 As it is written, There is none righteous, no, not one. There is none that understands; there is none that seeks after God. P.S. I use the word "idiot" here jokingly to point out that we all do and say stupid things from time to time. We have all been selfish and insensitive to others. "I go to church, but I really don't want to." Many reasons could explain this situation. Perhaps you need to find a church that better suits you and your family. Perhaps the problem is you. You should spend some time considering that. Maybe you're attending just to make somebody happy or appease an annoying friend or relative. Only you know the reason you go. But next time you go, stop thinking about that person and start listening to what's being said at church. Try to enjoy the worship service and spend time thinking about the ministries at the church. You might find your own reasons to want to be there. Everybody feels this way once in awhile--even the "good" Christians. We all get tired and worn out. We have bad days, weeks, and sometimes bad months and years. Trouble hits us in triads; and sometimes we don't feel like doing anything. To some of us, church is stressful because we have to show up appearing perfect and having it all together. Might I suggest you drop the act and be honest with people? I'm not picking on you; I'm just encouraging you to let down your guard, pull back the curtain, and stop trying to impress everyone at church. In fact, stop trying to impress people everywhere (unless you have a job interview--then unleash the impressing!). (1) Assess why you don't want to go to church and try to resolve that issue. (2) Nurture your personal Christian life. Without it, church won't help you much. (3) Realize that church is not about you; it's about God and others. (4) Get involved in a ministry of your church that you would enjoy. "I go to church and love it. Here's why." One of the best results of church is learning new things. I enjoy hearing from people that are older, wiser, more educated, or just have a different perspective. Learning should never stop in your life, or you will stagnate. I like helping people, and church can be a good place to do it. If you find out someone needs something, provide it (if you can). If you enjoy teaching, teach people. I like singing, so I sing at church. Some people say they like it. If you can clean, clean at the church. If you can cook, cook for the church. If you can work on cars, help with mechanical stuff. Church is a good conduit for finding needs and helping those around you. Perhaps the most important reason for a Christian to go to church is because you should; but that reason will probably fade from your mind if you don't grasp some of the other things I've mentioned. God wants you to go to church AND to enjoy it. If you're not enjoying it, something is wrong.